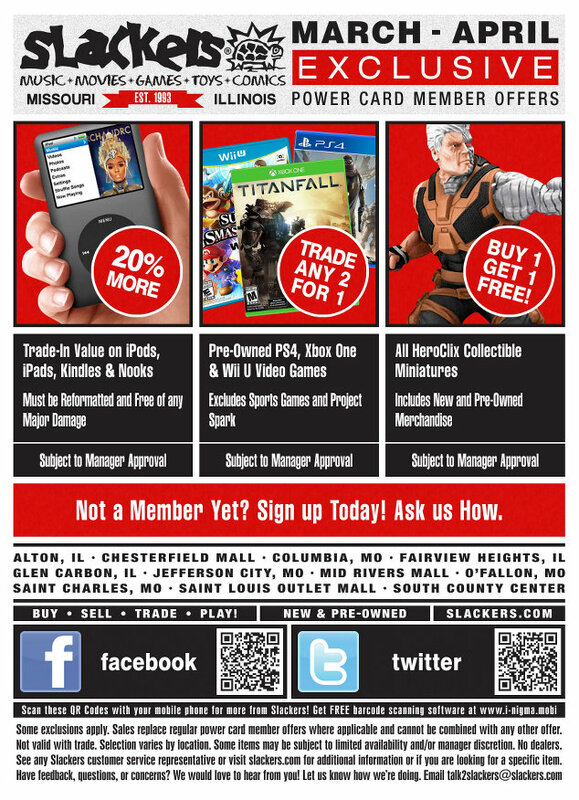 Get an extra 20% trade credit for your iPod, iPad, Kindle, or Nook. Must be reformatted and free of any major damage. Trade Any 2 for 1! Trade 2 Pre-Owned PS4, Xbox One & Wii U Video Games and get 1 in return. Excludes sports games and Project Spark. Buy any HeroClix Collectible Miniature and get 1 FREE! Includes New and Pre-Owned Merchandise.